From just WOHA to WOHAbeing. WOHA is a Singapore-based architectural practice that creates environmentally and socially groundbreaking feats such as the SkyVille @ Dawson and Oasia Hotel Downtown. Now, the creatives have a new avenue to explore and keep creating - WOHAbeing. B-Side interviews Richard Hassell, co-Founding Director of highly acclaimed architectural practice, WOHA. 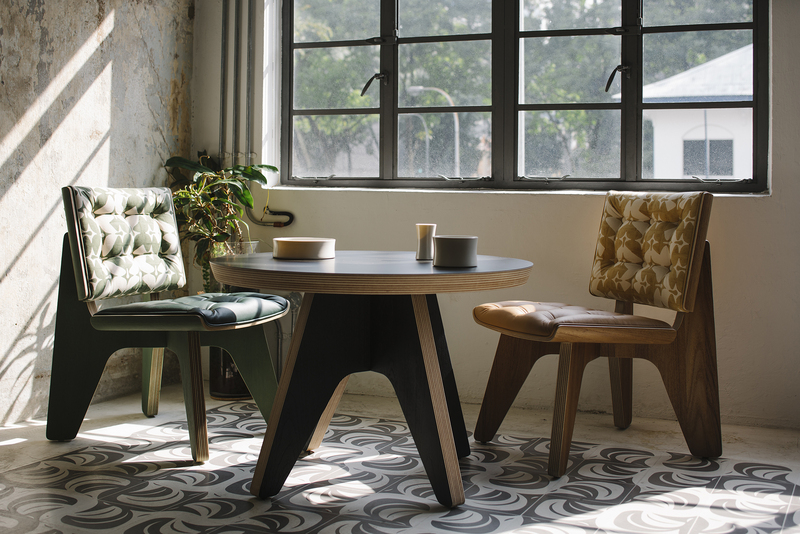 Leading WOHAbeing alongside Wong Mun Summ, and a team of industrial and interior designers, we can expect different product ranges from furniture, lighting, tableware, bathware to rugs. Designs inspired by the past and always drawing from cultural exchanges and their philosophy of thinking for the user. WOHAbeing is a natural extension of what we have been doing in our architectural practice for over 20 years. Our studio designs on all scales: from master planning, to building design, interior design and also furniture and other objects. For some of our projects we design almost everything – from the masterplan down to the coat hook. This enables us to tell one cohesive story and by designing our own objects, we can make sure that the design language but also the functionality of the pieces is in line with the project. To be honest, we didn’t approach this endeavor in a very strategic way. We just love making things. We realized through our work that, while there are lots of beautiful products out there, there wasn’t that much that worked well for tropical architecture. The pieces just aren’t designed for our region. There is this natural and cultural exuberance in the tropics and life moves seamlessly between indoors and outdoors. We couldn’t find many objects that worked well in this context, so we simply made our own. Some of these pieces have been in use for almost 10 years now, like at our Alila Villas Uluwatu project in Bali. Over the years, we have received many requests from guests staying at our projects who were interested in purchasing the furniture, and we always thought “one day, when we have the time…”. 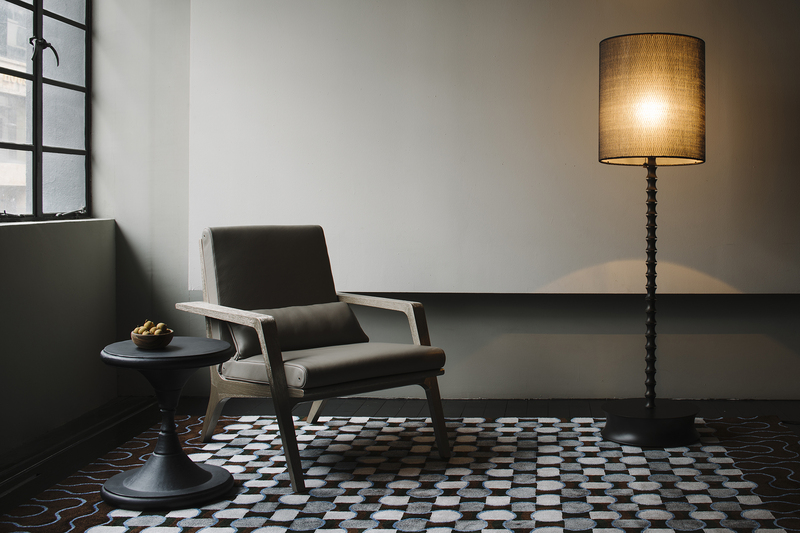 Last year Maison & Objet named us “Designer of the Year, Asia” and offered us space at M&O Paris, where we had the chance to show our pieces to the public. We were happy that we received very positive feedback. We don’t try to predict or chase trends because most of our objects are designed with an architectural project in mind, and the approach is a bit different from product design, since architectural projects usually take many years to complete – so we can’t really think in terms of “seasons” and have to take on a more long-term view. 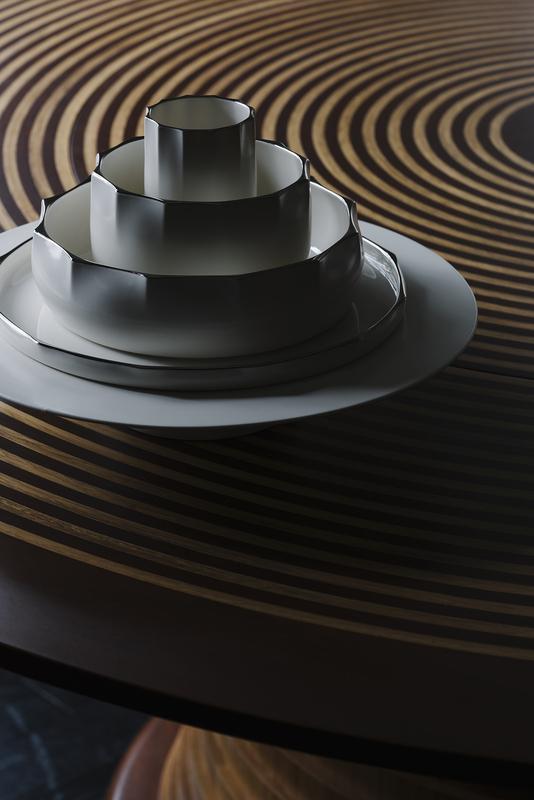 It’s been interesting to see how our Ulu Centric Table has been a big draw for the public, it’s a beautifully crafted dining table with an integrated lazy susan – and we designed it about 20 years ago. Do you see WOHAbeing as a separate company from WOHA? WOHAbeing is a separate company and it is the product and object side of the whole WOHA design philosophy. Although some of our products were developed for projects, WOHAbeing is product-based and not project-based. It’s a different business to our architectural practice and we are learning new sides to product marketing, production, sales etc. Since this is all new to us, we’re happy to have partnered with companies who have a lot of experience in this industry. Where do you see WOHAbeing headed towards? We see WOHAbeing growing and changing alongside our architectural projects. The architectural side of our work gives us insight into the direction the world is going in – it is longer term and not fad-driven, so we think that WOHAbeing will offer objects that have longevity as well as a sense of time and place. WOHA is known to incorporate sustainable design strategies into your work. Why is this important to WOHA, and how will you be continuing this tradition within WOHAbeing? We think that building in a way that is sustainable both socially and environmentally is the only way forward, and we have been committed to finding solutions for living well on an increasingly crowded planet since we started our practice. For those of us in the tropical belt, the problems of the future are not academic and far removed – they are urgent and real. The rapid urbanization and overcrowding in mega cities have caused green, open, civic spaces to shrink at an unbelievable rate and chronic traffic congestion and pollution worsen the city’s environmental conditions. Our idea of sustainability is very broad, it’s not just about energy, but also about sustaining communities, sustaining nature, sustaining diversity. How do we live well, how do we do good, how do we preserve our social, cultural and natural capital as populations grow? These are the questions we are trying to answer in our proposals. With WOHAbeing, we use the same principles. We work with partners that have the same social and environmental principles as we do: we source sustainable, non-toxic materials and ensure that the products are made under good working conditions. When we are creating new products we go by the principle of coming up with delightful, thoughtful, meaningful design.